Athens, Ga. - During their annual migration to wintering sites in Mexico, monarch butterflies encounter dangers ranging from cars and trucks to storms, droughts and predators. A study led by ecologists at the University of Georgia has found evidence that these iconic insects might be facing a new challenge. Resident colonies of monarch butterflies that breed year-round have appeared in coastal areas from South Carolina to Texas in recent decades with the widespread planting of tropical milkweed. Tropical milkweed is a host plant for monarchs that normally grows in South and Central America and is not native to the U.S. Monarchs require milkweed to lay their eggs. As native milkweeds in the U.S. have become scarcer, tropical milkweed has become popular to sell in garden centers. But unlike native North American milkweeds, tropical milkweed doesn't die back in the winter in warm areas. With a year-round food source available, some monarchs have started to stay put and breed throughout the fall and winter--but at a cost. Overall, 95 percent of resident monarchs were infected, compared to just 9 percent of migrants--but at year-round breeding sites, more than a quarter of all migrants were infected. "Swamp milkweed is one good choice, because it's easier to grow than some other native milkweeds, and it's native to much of the eastern U.S. 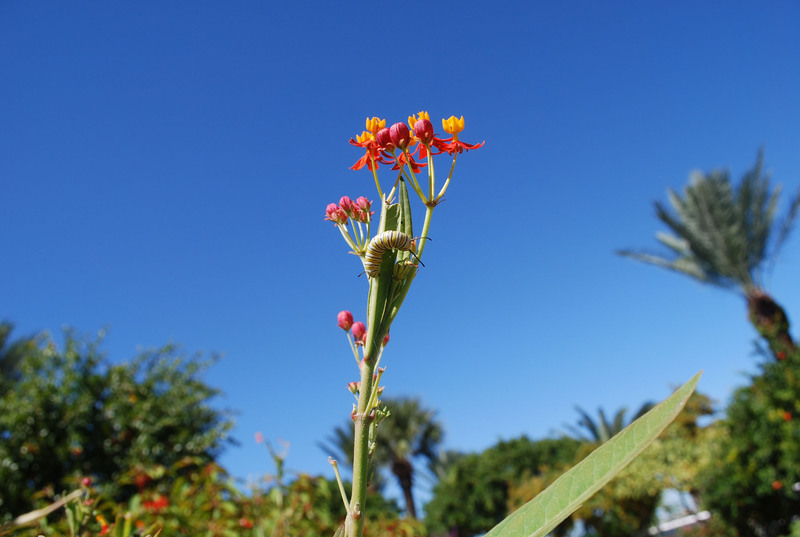 In places where tropical milkweed already occurs, it can be cut back during the fall and winter (monthly), to about 6 inches for the stems--if you live in a coastal area, that's especially important. But even better, replace it with native milkweeds." The study, "Migratory monarchs that encounter resident monarchs show life-history differences and higher rates of parasite infection," is available online at http://doi.wiley.com/10.1111/ele.13144. Besides Satterfield, Altizer and Hunter, co-authors are John Maerz of UGA, Hillary Streit of the University of Michigan, Tyler Flockhart and Ryan Norris of the University of Guelph, Keith Hobson of Western University and Jacobus de Roode of Emory University. The research was supported by the National Science Foundation, the University of Guelph and Environment Canada. 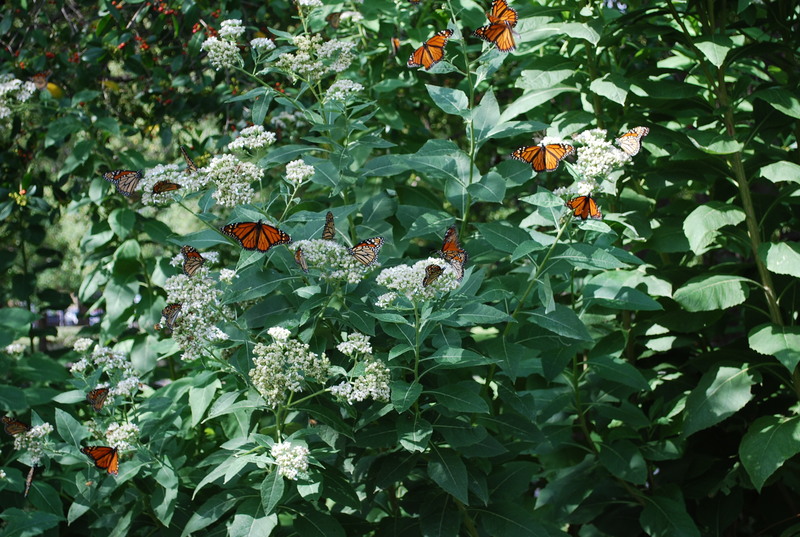 Cutline: Migratory monarchs gorging themselves on frostweed nectar on their way to Mexico in Dallas, Texas. Cutline: Resident monarch caterpillar on tropical milkweed in Galveston, Texas. Cutline: Resident monarch recently emerged from a chrysalis, next to tropical milkweed in Galveston, Texas.